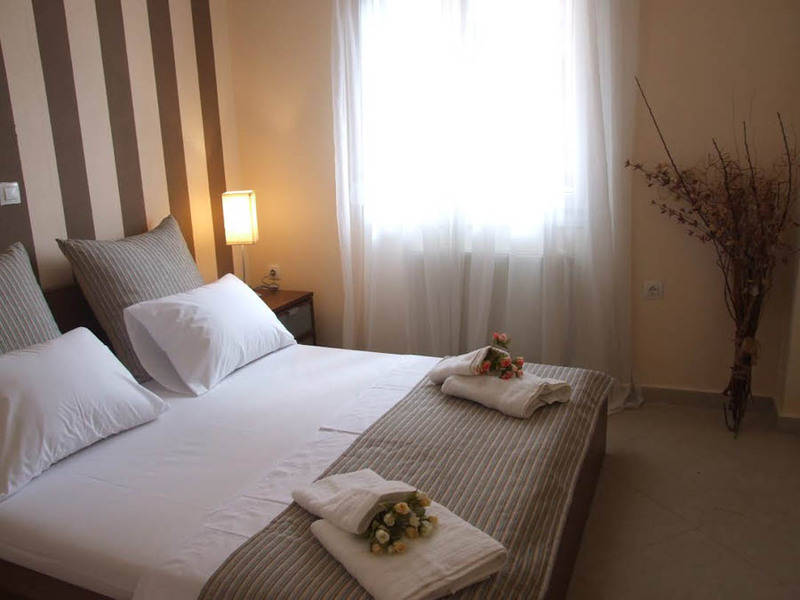 Gorgona di Thasos apartments are located in the most beautiful and peaceful part of the island of Thassos, Limenaria and is waiting for you. 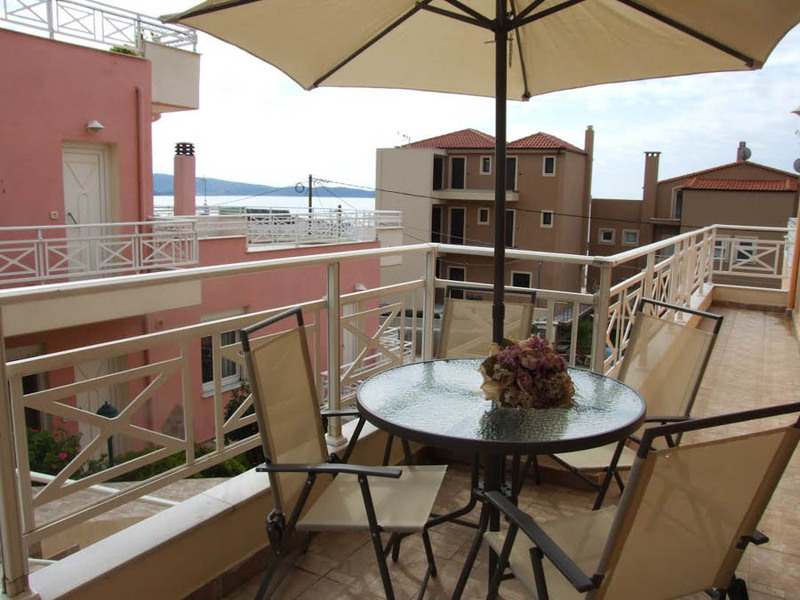 In Limenaria the deep blue Aegean Sea meets the green mountains of the island. 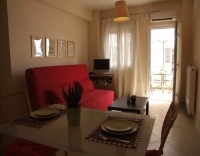 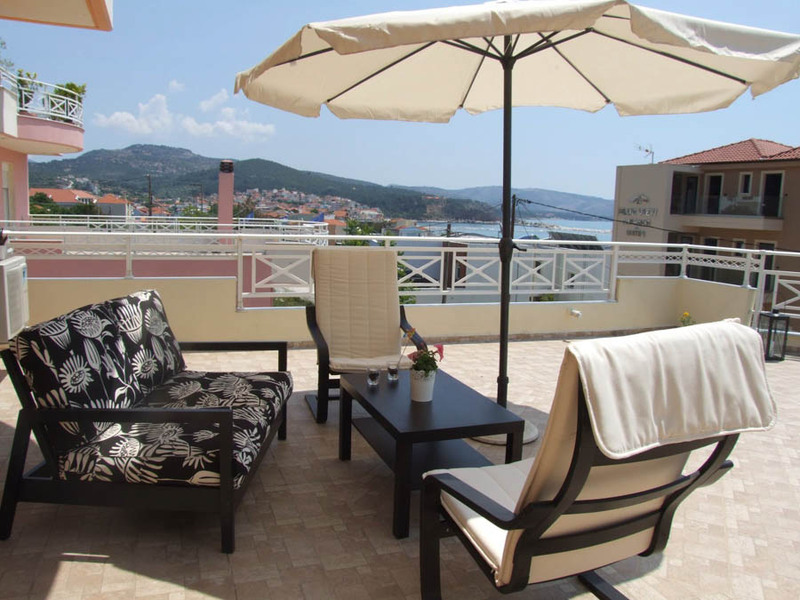 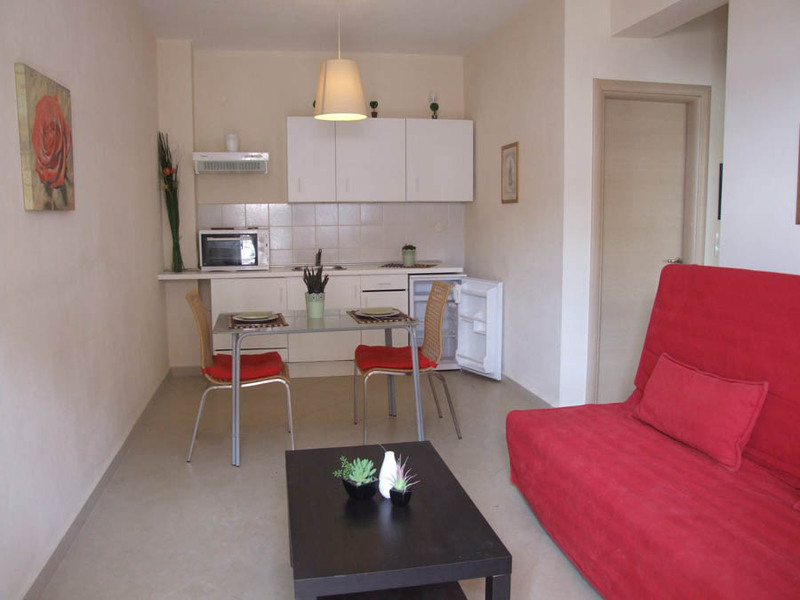 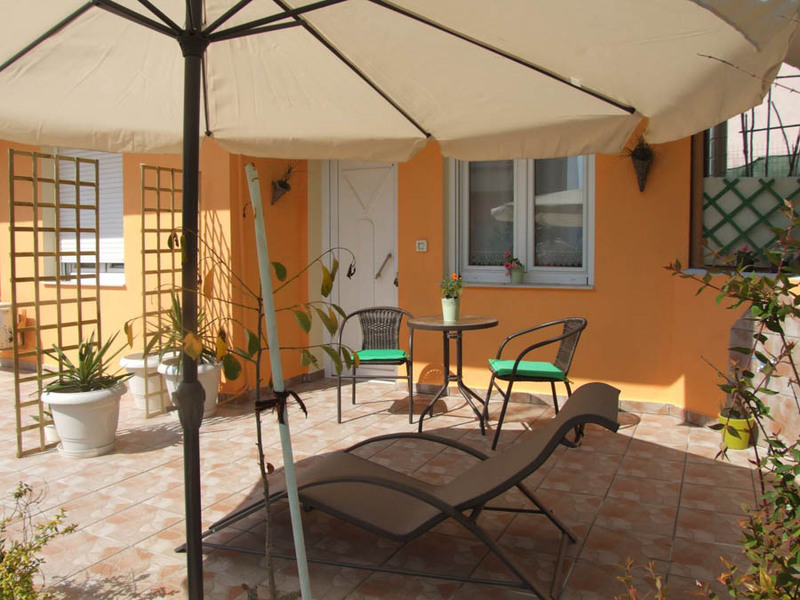 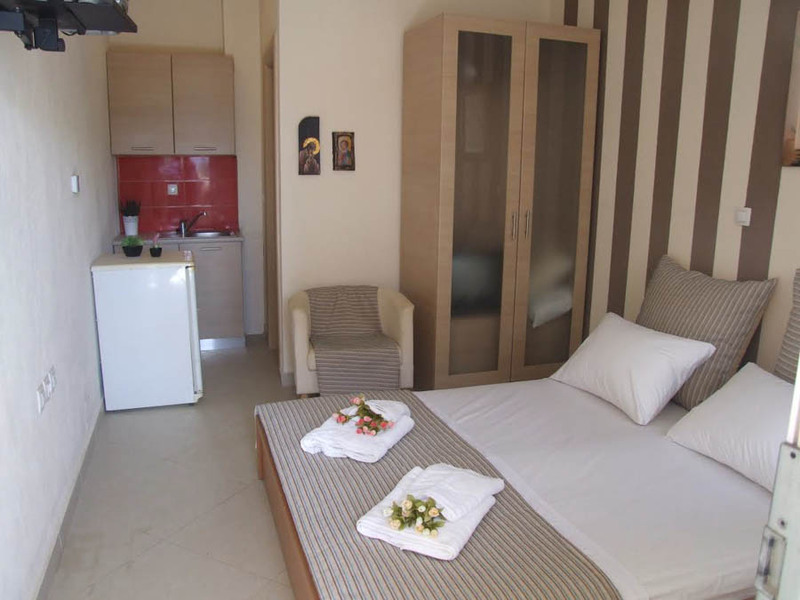 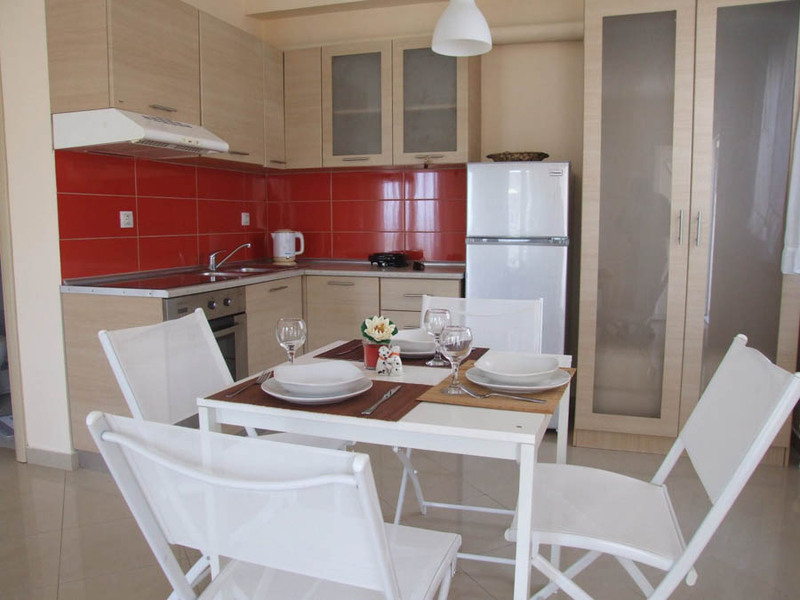 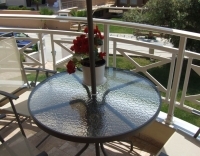 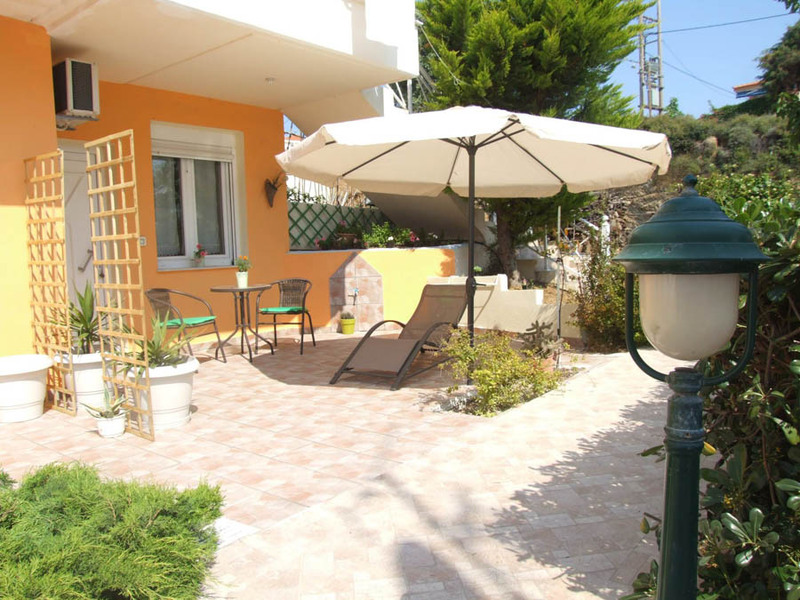 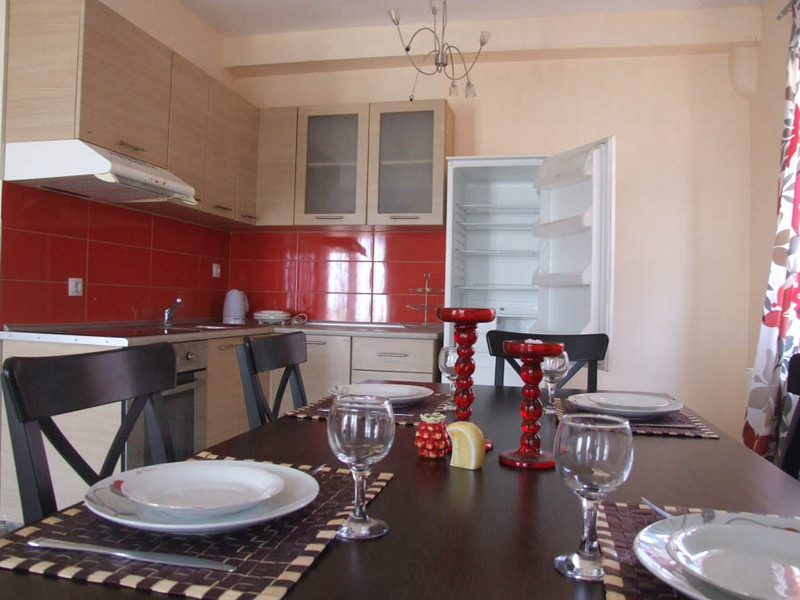 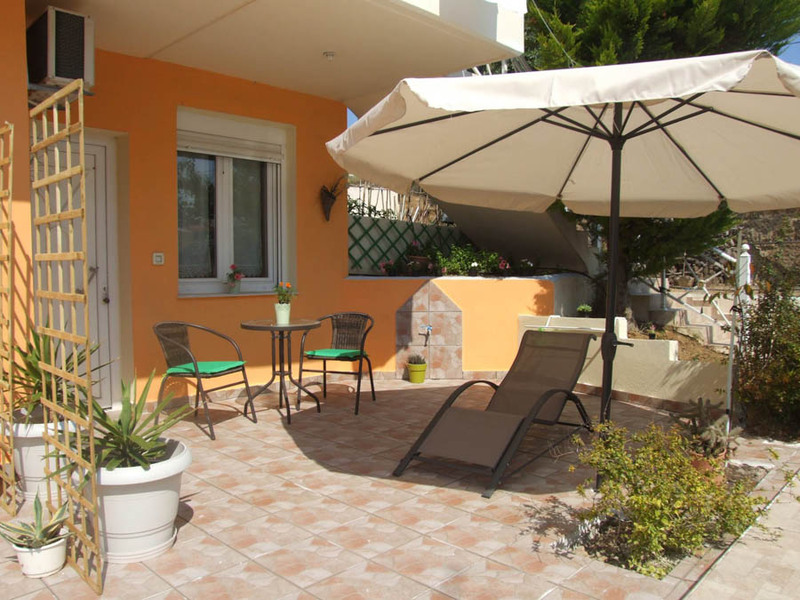 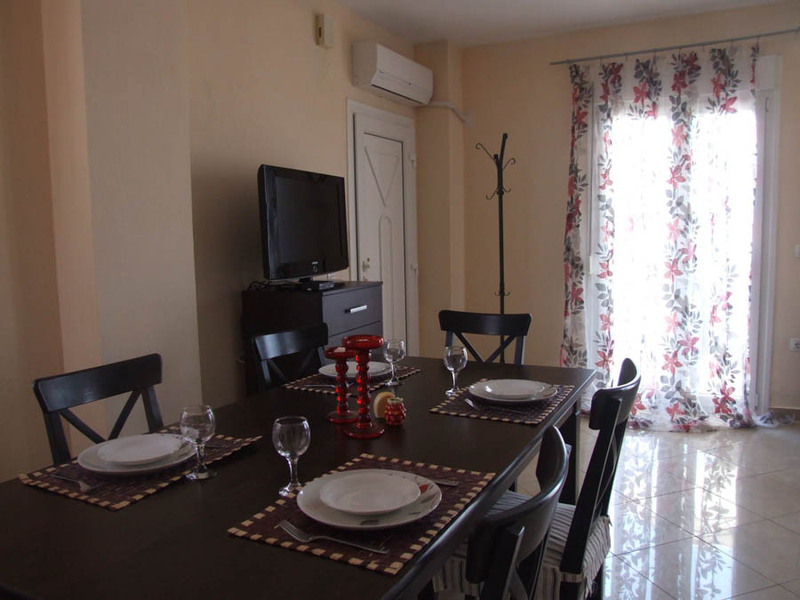 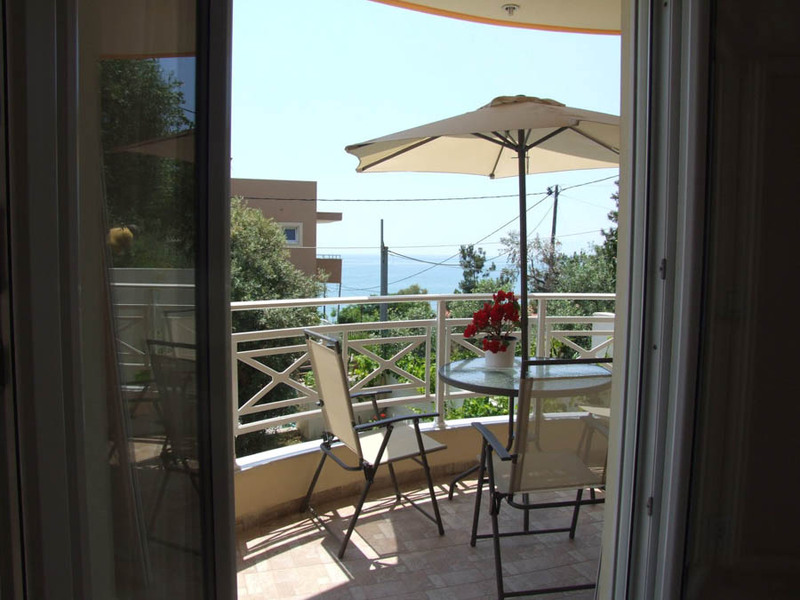 In Gorgona di Thasos we have apartments and studio that can accommodate 2-6 people. 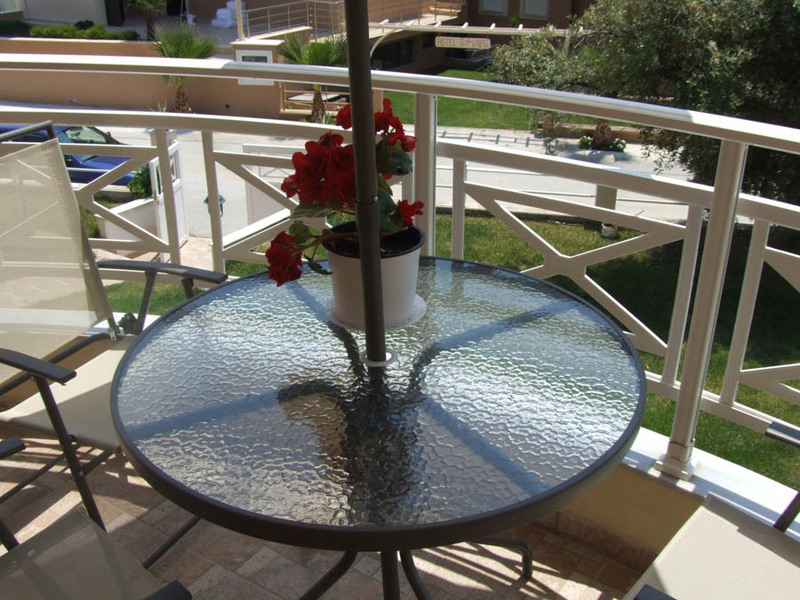 All accommodations provide comfort in a modern environment, with large beautiful gardens with lawn and flowers. 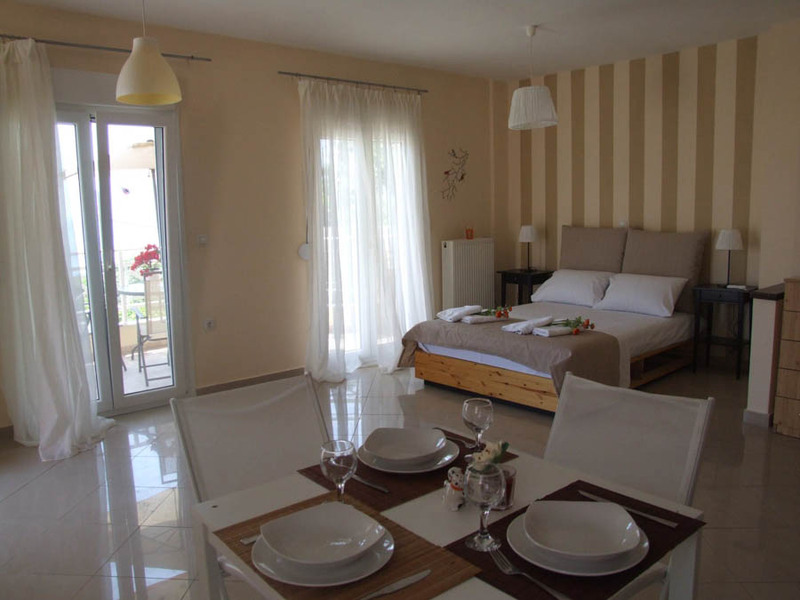 Gorgona di Thasos is built 50 meters from a crystal clear water beach. 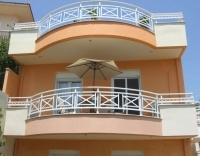 The beach is organized and is, suitable for swimming, sports, relaxation and fun. 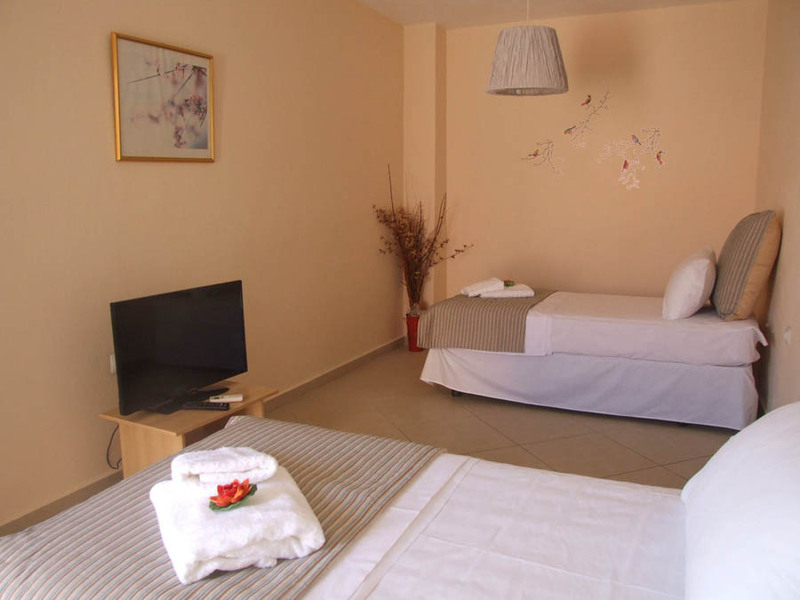 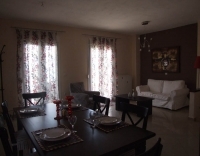 The apartments and studios are self catering but you can have breakfast or any type of meal by the pool of the hotel, we cooperate with, that is nearby (30m far). 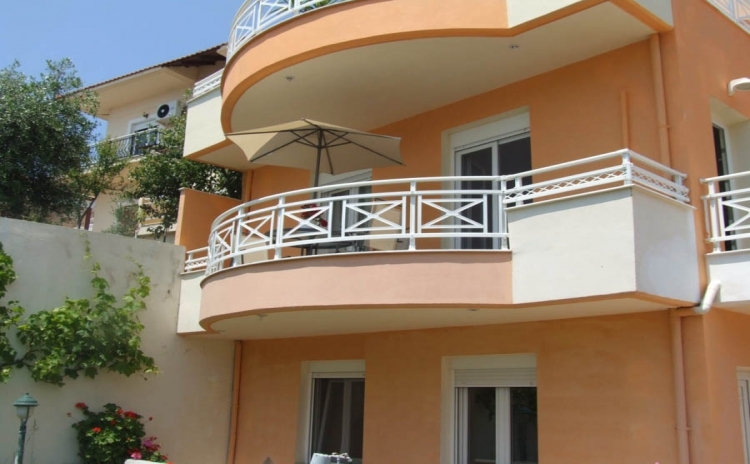 Let’s live and explore the legend of the gorgons here in Limenaria, Thasos, in the exquisite apartments of “Gorgona di Thasos”, ….. hoping that one night we may actually encounter them. 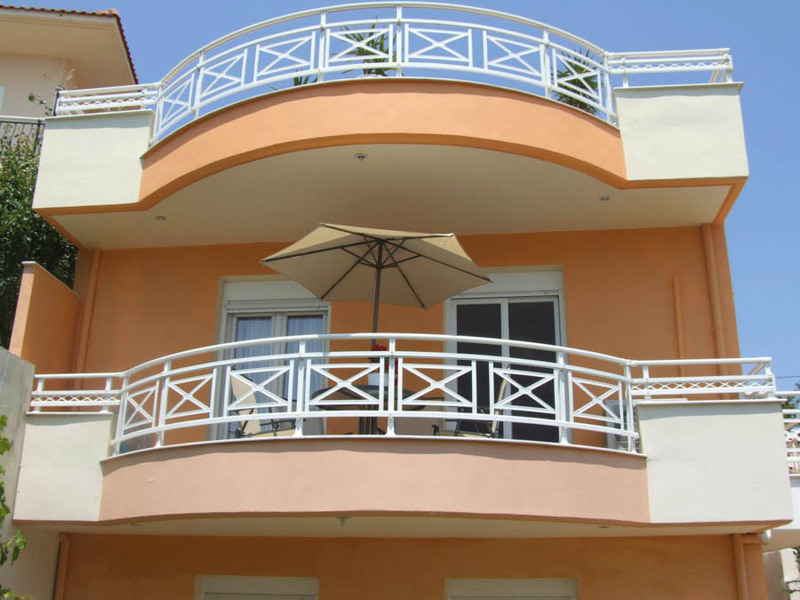 Maisonette ''MEDUSA'' is spaciou, has 82 sqm on two floors that communicate with a staircase, it also has two separate entrances, two WC, two a/c one for each floor, and a fully furnished 48sqm terrace overlooking the sea, Mount Athos and the village.